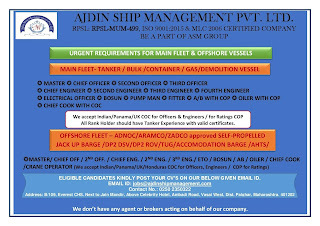 SEAMAN JOB INFO - Ajdin Ship Management PVT.LTD. 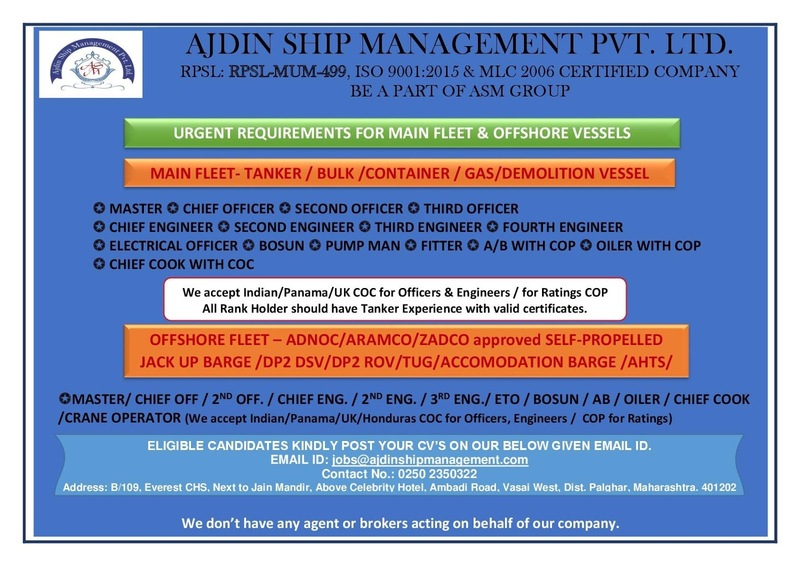 Urgent requirements Indian seaman crew for a tanker, bulk carrier, container, gas, jack up barge, tug, dsv dp2, rov dp2, tug, accommodation barge, offshore ahts vessel joining A.S.A.P. Share to help other seaman looking jobs at sea. Search 1000 of maritime vacancies. Upload your CV and apply today. Jobs from top employers. 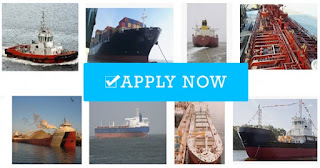 0 Response to "Hiring Indian Crew For Tanker, Bulk Carrier, Container, GAS, Offshore Vessels"